Will the Urus become more successful than its spiritual predecessor? 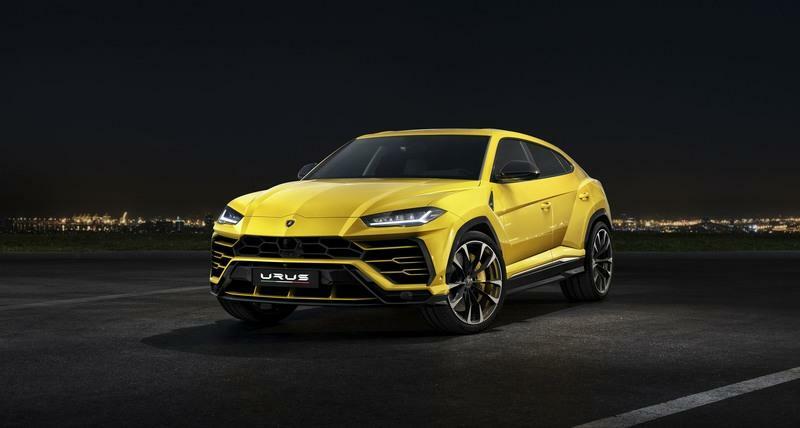 The Lamborghini Urus was unveiled in 2017, five years after the Italian carmaker unveiled its first SUV in the form of a concept car. But even though it’s Lambo’s first SUV, the Urus isn’t the first utility vehicle coming from Sant’Agata Bolognese. Lamborghini began meddling with the idea all the way back in 1977 and launched its first production model in 1986 as the LM002. That’s a few good years before AM General introduced the iconic Hummer H1 for civilian use in 1992. 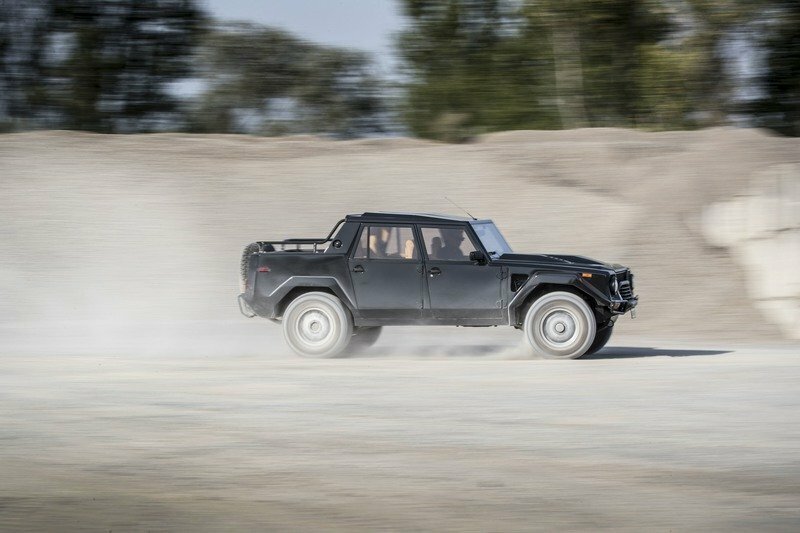 In many ways, the LM002 is the spiritual successor of the Urus, but the two utility vehicles are actually very different. They were conceived for different purposes, have radically different designs, and deliver different performance figures. 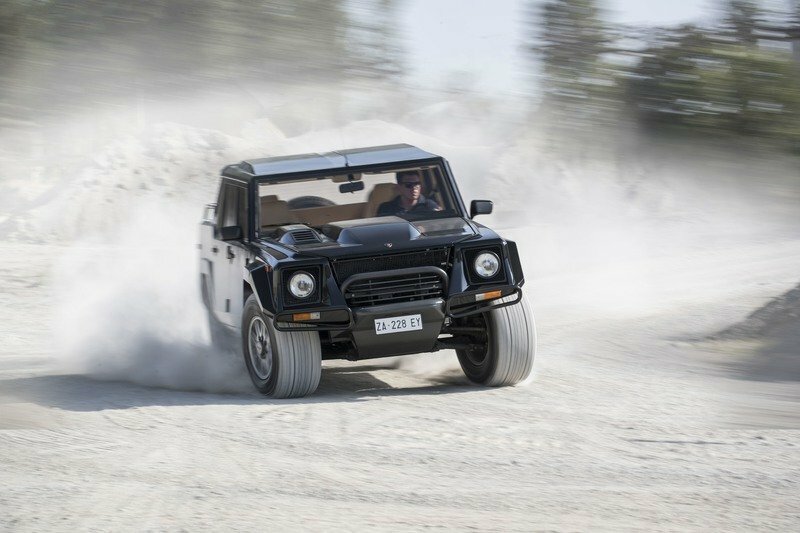 With the modern SUV now official and on its way to showrooms, we take a look back at Lambo’s history with utility vehicles and the iconic LM002. 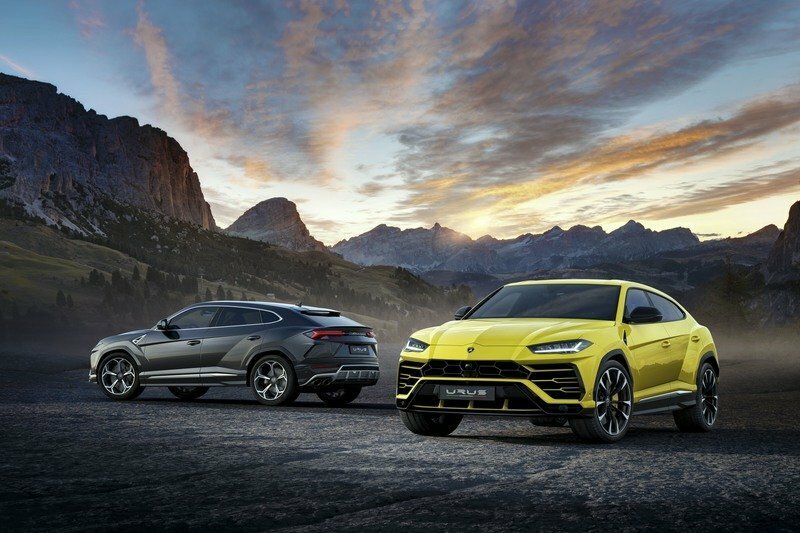 How does the Urus compare to Lambo’s first venture into this market and what sets the two SUVs apart? Find out below. 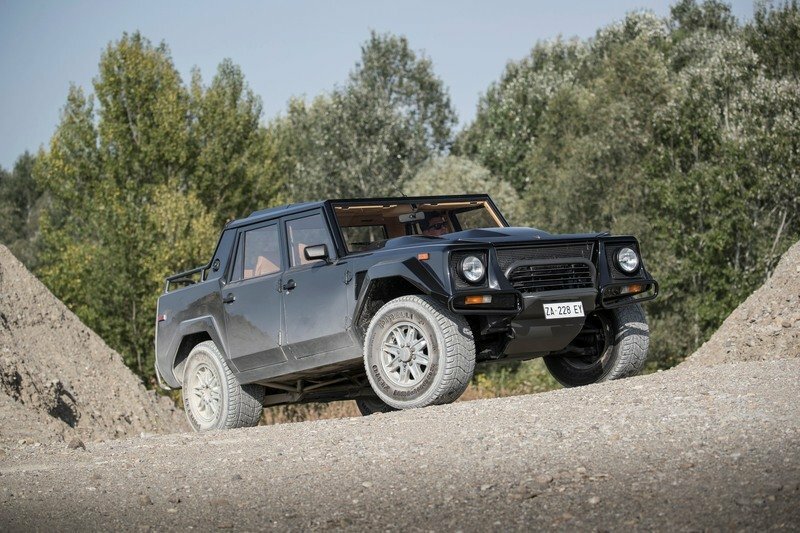 Production of the Lamborghini LM002 begain in 1986, but the Italian firm began working on a utility vehicle nine years earlier, in 1977. It all began when Mobility Technology International (MTI) contracted Lambo to build an all-terrain vehicle for the U.S. military. The Cheetah was significantly different from the LM002 design-wise, as it was based on the FMC XR311 per MTI requirements. Power came from a 5.9-liter Chrysler V-8 engine that generated 180 horsepower. It was mounted in the rear and used a three-speed transmission to spin the wheels. Introduced at the 1977 Geneva Motor Show, the Cheetah never made it into production. 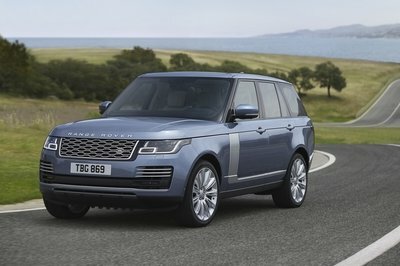 Handling was poor due to the rear-engined design, while the V-8 was underwhelmed by the vehicles 4,500-pound curb weight. What’s more, FMC took legal action against both MTI and Lamborghini for the XR311-based design. 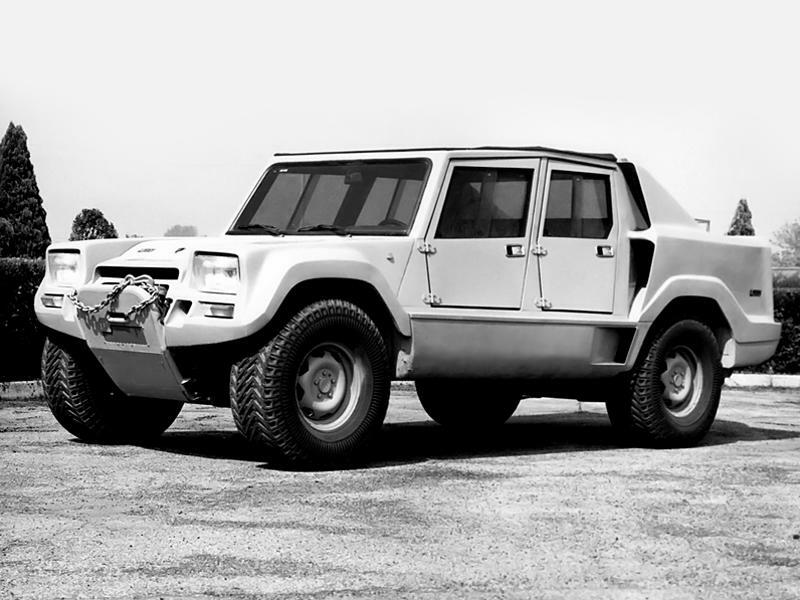 Despite the failure of the Cheetah project — the U.S. Army decided to award the contract to AM General and the now-iconic Humvee — Lamborghini didn’t give up on the idea and showcased another prototype, the LM001, at the 1981 Geneva Motor Show. Now an original design, the Lambo truck also replaced the Chrysler engine with an AMC (American Motors Corporation) unit. However, the Italians retained the rear-engine layout, which caused handling issues when accelerating. Lambo once again ended the project after just one prototype and moved everything on a clean sheet. The LM002 was the company’s last truck concept and the one that went into production. Lambo made big changes to the LM001, starting with moving the engine in the front. Lamborghini also decided to look in its own backyard for engines and fitted the LM002 with the 5.2-liter V-12 from the Countach Quattrovalvole. Significant updates were made to the body too. Although the massive, boxy layout was kept, the rear section was redesigned into a pickup truck bed. The front end was altered too in order to make way for the big engine between the fenders. The big rectangular headlamps were replaced by round units. The doors were enlarged, while the side sills were narrowed, both modifications designed to make the vehicle more civilian-friendly. Surprisingly enough, Lambo selected a lower profile auto show for the big unveiling, showing the LM002 in Brussels, Belgium in 1986. The truck was received with great enthusiasm, it was dubbed "Rambo-Lambo" and remained in production for seven years. Unlike its spiritual predecessor, the Urus wasn’t designed with the military in mind. Instead, Lamborghini just wanted a piece of the ever-growing crossover market, which saved Porsche a few years back and brought big profits to several other brands. Although the production model wasn’t unveiled until 2017, the Urus has been in the company’s plans for several years. A concept car very similar to the final product was shown at the 2012 Beijing Auto Show, so it’s safe to say that Lamborghini was already working on the project in 2010, if not earlier. 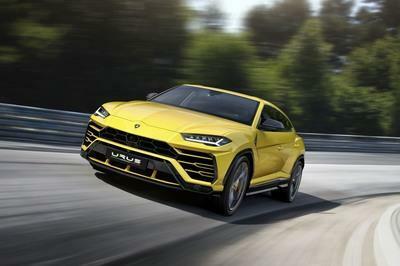 The Urus is supposed to increase sales to unprecedented figures and if the current market is any indication, it should become the brand’s best-selling model in 2018. 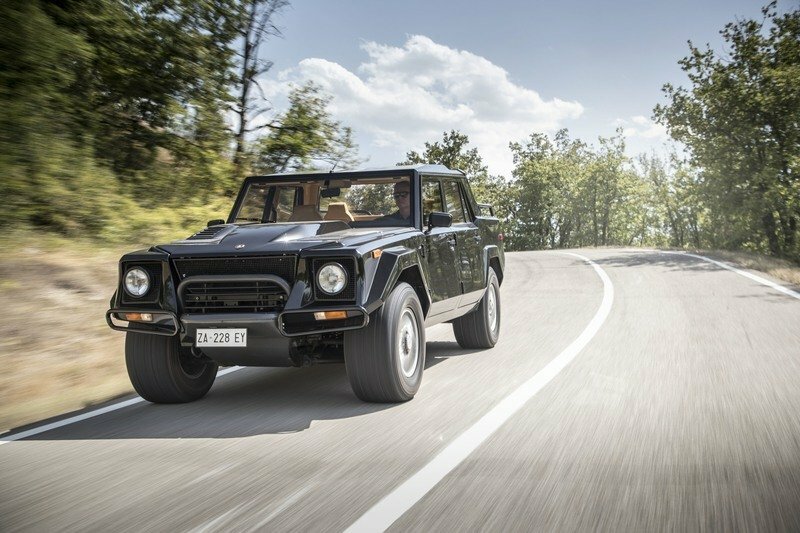 Unlike the Urus, which sports the same design language as the company’s current supercars, the Huracan and the Aventador, the LM002 was a massive departure from the 1980s Lamborghini lineup. Apart from the squared-off wheel arches, a signature feature of the iconic Countach, the LM002 was a massive, boxy pickup truck that looked more like a military vehicle than a civilian one. The LM002 was a no-nonsense truck in terms of exterior looks. Everything about it was designed to make the utility vehicle as practical as possible. 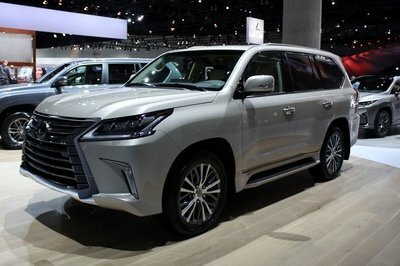 The suspension was set higher than any other SUV available at the time, while the side sills were almost featureless so that nothing came in the way during extreme rock climbing. There were no bumper front and rear, which added to the rugged look. The front turn signals were mounted on the body panels just below the headlamps, while the taillights were integrated into the tailgate, on each side of the spare wheels. Speaking of which, the massive wheel was placed in a big cutout in the tailgate, yet another unconventional design features. This also meant that unlike most trucks, there was no movable tailgate. This wasn’t exactly practical though. The front grille looked pretty rough too, with no fancy mesh and all the fancy stuff you see on modern trucks. In a massive contrast to everything else on the LM002, the hood had a huge bulge for the V-12 engine. It’s so big that it might cause visibility issues to shorter drivers. The center bulge was joined by a second lump on the left side. The beltline was rather awkward too, sitting significantly higher just behind the C-pillars. And it wasn’t moving upward in a subtle way either. I looked like the bed section and the rest of the vehicle were simply welded together. But it was exotic enough for a Lamborghini, and the crowd loved it. The Urus is an entirely different concept design-wise, but this approach is far from surprising. 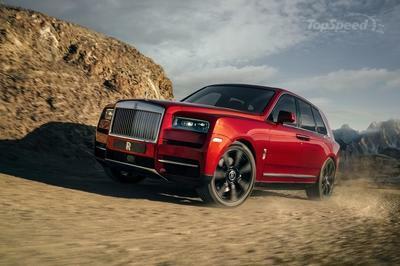 Nowadays, carmakers that jump on the SUV bandwagon no longer want rugged-looking vehicles with body exteriors. Instead, they aim for the corporate look, using or at least adapting the styling language of the small cars. Lambo did the same with the Urus, bringing together features seen on both the Huracan and Aventador supercars. The body lines are angular and aggressive, and the fenders are beefed up for that wide stance everyone wants nowadays. The profile provides the only feature that the LM002 and the Urus have in common: the wheel arches. Squared off and designed with three visible facets, they remind me of the LM002. Naturally, both utility vehicles borrowed this feature from the Countach. Up front, the Urus has a pointy nose and horizontal headlamps, both styling cues seen on the Huracan and Aventador. The bumper is significantly taller and the grille is larger, but it still makes it look like a Huracan on stilts. Again, absolutely nothing in common with the rugged, no-nonsense LM002. The rear end is downright menacing thanks to its thin taillights, decklid spoiler, the massive diffuser with quad exhaust pipes. The roofline mimics that of a coupe and descends aggressively toward the rear. And more importantly, there’s no bed to talk about. The LM002’s interior was just as boxy as its exterior. But that’s only because it was built in the 1980s. Simply put, the Countach supercar was similar in many ways, with the LM002 set apart only by the SUV-specific, more massive features. The center console was wider and taller, the instrument dash was larger, while the center stack had big A/C vents on top. I know it’s downright ugly for modern standards, but this was the norm back then. Just check out the Countach and some Ferrari supercars and you’ll notice similar designs with rectangular shapes and nearly vertical dashboards. But despite the rugged looks, the LM002 was actually a luxury vehicle. The truck came with full leather trim, tinted power windows, an air conditioning system, and a premium stereo mounted in a roof console. Again, it might not sound like much compared to modern cars, but it had more premium features than other Lamborghinis of the era. Of course, one of its major feats was the ability to provide comfortable seating for four people. The LM002 wasn’t the first four-seater from Lambo, the Italians introduced the Espada in 1968. But this model was a two-door grand tourer and it wasn’t exactly comfortable in the back seat. The LM002 came as proof that Lambo had the ability to build a roomier vehicle. The Urus is the natural evolution of the LM002. The four-seat Lamborghini has been taken to a new level in 2017. Just like the Aventador is a notably fancier version of the Countach, the Urus is a top-level upgrade over the LM002. The new SUV is a luxury vehicle in its own right, boasting the best craftsmanship the Italians have to offer. Ergonomics are arguably better since it was designed as a pure luxury vehicle and not a utility truck with premium appointments. Then there’s the technology. The Urus comes with Lambo’s latest, which basically means it has among the best features on the market. Safety is also far superior, despite the rugged and massive appearance of the LM002. Three decades of development and engineering are better than a taller body and thicker steel. Following unsuccessful attempts to use American-made V-8 engines in the Cheetah and LM001 prototypes, Lamborghini decided to use one of its own engines in the LM002. The Italians chose the naturally aspirated 5.2-liter V-12, a mill used in the Countach supercar. Rated at 444 horsepower and 368 pound-feet of torque, the unit was powerful enough to give the 5,935-pound truck decent performance. The sprint from 0 to 60 mph took 7.7 seconds, while top speed was reached at around 125 mph. Granted, it wasn’t exactly impressive performance-wise, but it was less than two seconds slower than the V-8-powered Lamborghini Jalpa. The V-12 mated to a five-speed manual transmission and four-wheel-drive system. Power hit the pavement through the bespoke Pirelli Scorpion tires with custom, run-flat tread designs. The tires were offered in two different tread designs, one for mixed use and the other for sand use only. Their most impressive feature was that they could be run flat without risk, including in the desert heat. 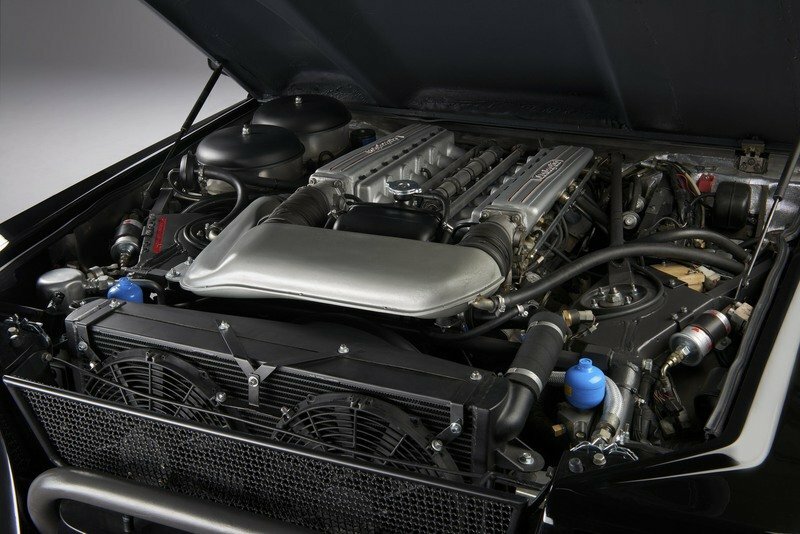 A second, optional engine was added later on, in the form of a 7.2-liter V-12. Taken from Class 1 offshore powerboats, this mill was rated at 612 horsepower and made the LM002 the most powerful Lamborghini in production at the time. However, this version is shrouded in mystery, as Lambo never published pricing for this option and the first prototype is long gone. 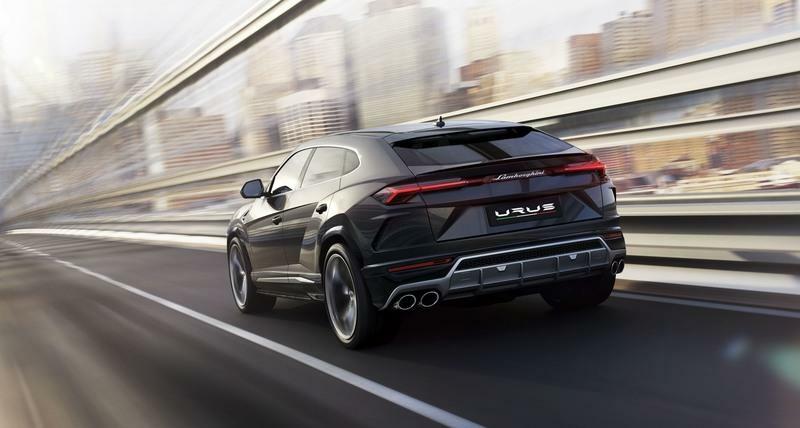 Powered by a 4.0-liter V-8 engine, the Urus is a breach in Lamborghini’s recent drivetrain habits. Specifically, the SUV is the first Lambo to not use a V-10 or V-12 engine since the Jalpa was discontinued in 1988. 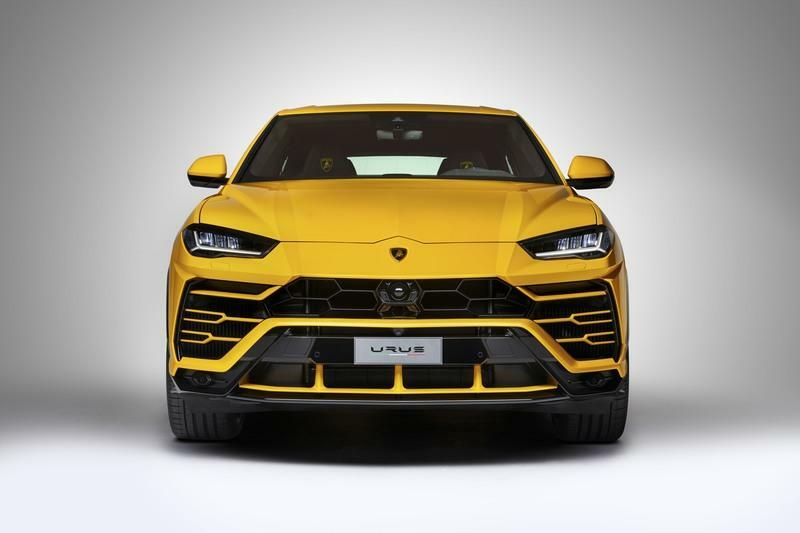 The Urus is also the first-ever Lamborghini to use a turbocharged engine. Another interesting fact is that unlike the LM002, which had a unique platform, the Urus shares underpinnings with a large number of SUVs produced under the Volkswagen Group umbrella, including the Audi Q7, Porsche Cayenne, and Bentley Bentayga. But this isn’t surprising in today’s market, when automakers are looking to reduce costs by sharing platforms between them. This strategy has enabled Lambo to keep the Urus’ price down and will probably draw larger profits from the nameplate. 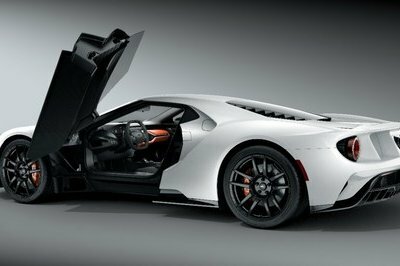 The engine produces 650 horsepower and 627 pound-feet of torque, significantly more than its predecessor. It’s also a lot quicker, needing only 3.6 seconds to hit 62 mph from a standing start. This massive difference comes from the fact that the Urus is much lighter due to extensive use of aluminum and carbon-fiber. Top speed is also far superior at 190 mph, which makes the Urus the fastest SUV on the market. The transmission is an eight-speed automatic, while the four-wheel-drive system offers a torque split of 40 percent front and 60 percent rear. When needed, the drivetrain can send up to 87 percent of torque to the rear, so it’s safe to say that the Urus is occasionally a rear-driver sports car. Pretty cool, huh? Although it was available from 1986 until 1993, the LM002 was built in only 328 units. Priced at more than $100,000, the truck was among the most expensive vehicles available at the time. 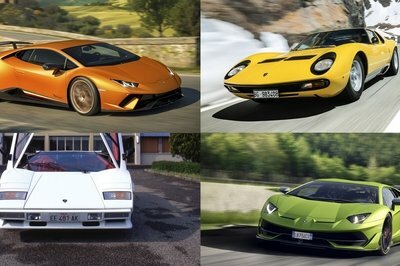 As a result, Lambo sold only 41 LM002s per year on average, compared to the Countach moving 120 units per year on average between 1974 and 1990. Production of the Urus will be significantly higher, mostly because it’s a different type of vehicle and the current market has enough room and money for thousands of expensive SUVs. Although it’s difficult to predict right now, I’m pretty sure that the Urus will become Lambo’s most popular vehicle ever if production lasts around a decade. With pricing set at $200,000 — not overly expensive for its niche — the Urus could dethrone the Gallardo as the company’s best-selling model. The supercar was built in 14,022 units between 2003 and 2013. 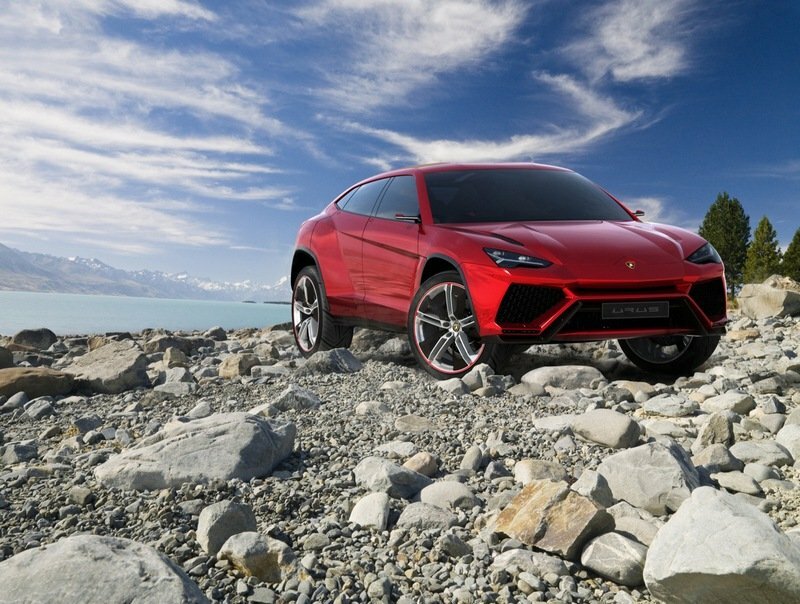 The Urus is often referred to as Lamborghini’s second SUV or utility vehicle. While this may be accurate when used to describe Lamborghinis that aren’t supercars or sports cars, the two are far from being in the same category. And not just because they’ve been launched some 30 years apart. They’re just entirely different. As seen in the comparison above, they’ve been designed with different purposes in mind. The LM002 started life as a military vehicle and went on to become a low-production truck with limited performance. The Urus, on the other hand, is the supercar of the SUV market. They look different on the outside, they feel different on the inside, and both had different achievements to brag about. 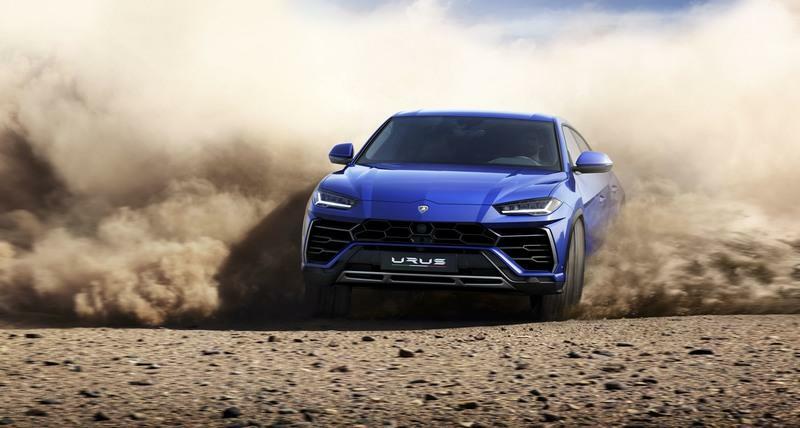 While the LM002 was the first Lamborghini to step out of the sports car market (if we ignore the tractors that is) and the first to get a new platform in years, the Urus is the first proper SUV and the first Lambo to use turbocharging. They have only two things in common: the Countach-inspired wheel arches and the increased ride height. This doesn’t mean we can’t look at the Urus as the spiritual successor of the LM002. Because you’ll surely take your new Lambo off-road, right? Read our full review on the Lamborghini Urus Concept. 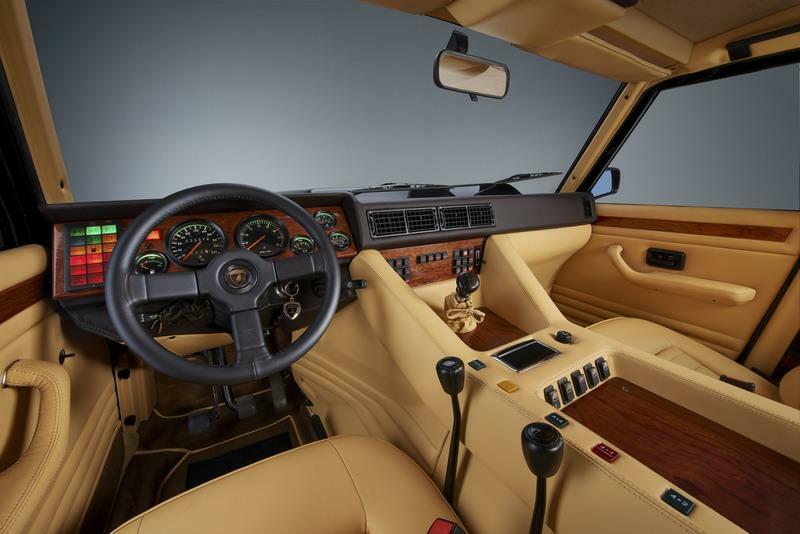 Read our full review on the 1986-1993 Lamborghini LM002.